An extra long train just passed West Cambridge heading out toward Fitchburg...two F40PH engines (#1017 and another I missed), several coaches, then another locomotive (I think one of the #11xx GP40's?) and more coaches. I'm just guessing, but I'd imagine they're heading out to Lunenburg for the evening. If (and that's a big if) there's going to be a normal morning commute on Tuesday morning, MBCR will have a lot of equipment out of place. A lot of morning inbounds haven't had their equipment delivered outbound tonight. I just heard the MBTA northside dispatcher declare that the Fitchburg line is out of service between Waltham and South Acton. octr202 wrote: If (and that's a big if) there's going to be a normal morning commute on Tuesday morning, MBCR will have a lot of equipment out of place. A lot of morning inbounds haven't had their equipment delivered outbound tonight. Once it was declared that things would be called off at 2pm they started sending all of the equipment and crews that put up in the evening out as extra trains! I don't know how many actually got out but quite a few did manage to make it to where they needed to be for the morning commute for tomorrow (if that happens). With resepct to the Fitchburg line, a track patrol hi-rail went went through Waltham at about 7 PM, and now I just saw a trainset deadheading west (slowly, maybe 25 mph), in spite of the fact that the storm is definitely still storming. The MBTA just announced normal service for Tuesday, except for the Providence Line, which will not be running until further notice. There are six sets stranded in Providence. There isn't enough room for all the sets to have stayed in Boston. They need to put up at a location where the daily required inspections could be performed. It's a hard call. If they moved the sets to Boston and the line was open... Then how would you run service from Providence in the AM. It's better to have the equipment in it's place and deal with the equipment shortage as it occurs. 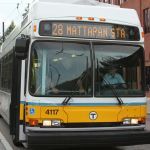 The T is now reporting that service will operate as far as Mansfield and Stoughton. Additionally and unsurprisingly, the D line will be bused from Reservoir to Riverside. "The Providence/Stoughton Line will be suspended between Wickford Junction and Mansfield Stations due to downed trees and power lines. All trains will originate at Mansfield Station. Customers requiring service to Boston are encouraged to park at Route 128 Station for service to Boston - South Station." My commute on the Fitchburg 408 was, for the most part, normal. The train was 7-8 minutes late to Littleton (not unusual) and was delayed at Waltham center due mainly to a crossing issue (but we also stopped for both switches and the working crossing). The only other thing notable was that we had a different train crew, but not sure if that was due to the storm or regular crew rotation. Trains don't run on schedules, son. They run on tracks. "All Commuter Rail Lines have resumed regularly scheduled service with some residual delays. Customers are encouraged to check MBTA.com and T-Alerts for updated service information." 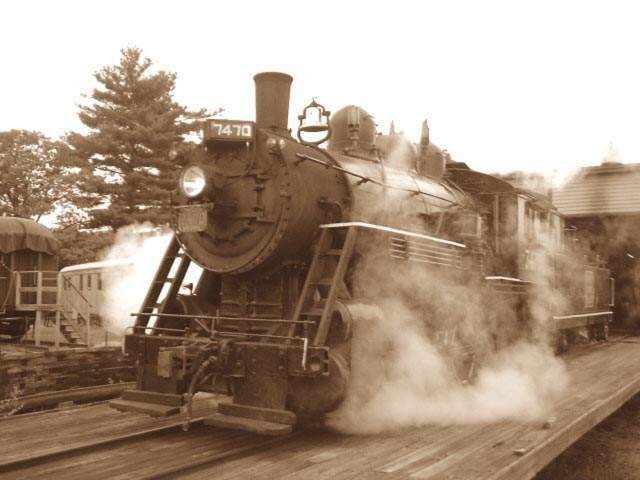 Monday at about 1545 there was a trainset sitting at Malden station, led by a GP-40MC. I was heading home, so I didn't wait to see what it did.